This past weekend began with the excitement of Halloween. All the children were anticipating dressing up and deciding what exactly they were going to wear. 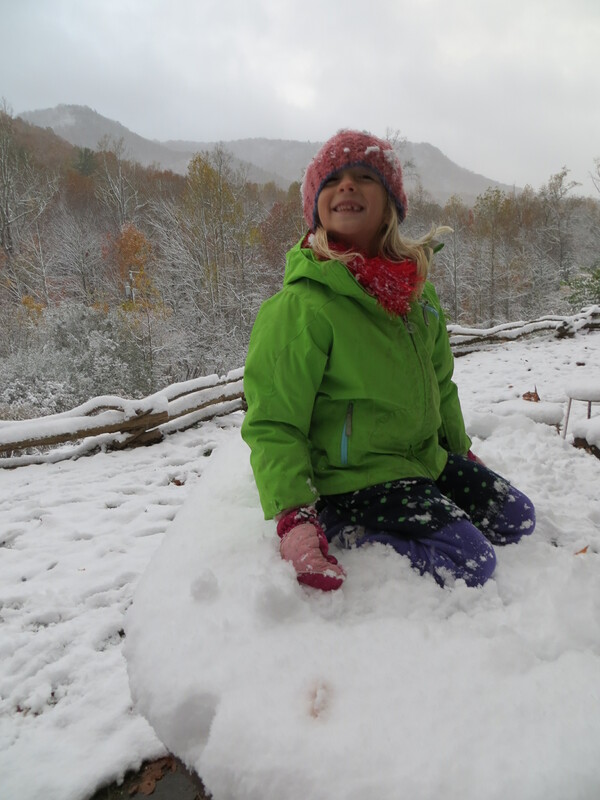 Since the weather was turning cold, we also had the challenge of what to wear with the costumes to stay warm. Anne was still debating what she was going to be on Friday and even changed clothes/costumes halfway through trick-or-treating. She started as a German bar maiden, but after she got a very puzzled expression from the first person who asked her what she was, she changed her story to “Laura Ingalls” and got rid of the beer stein. Halfway through the night (after the horseback ride), she changed into regular clothes and said she was a teenager, hippy, or spy, depending on who asked her. 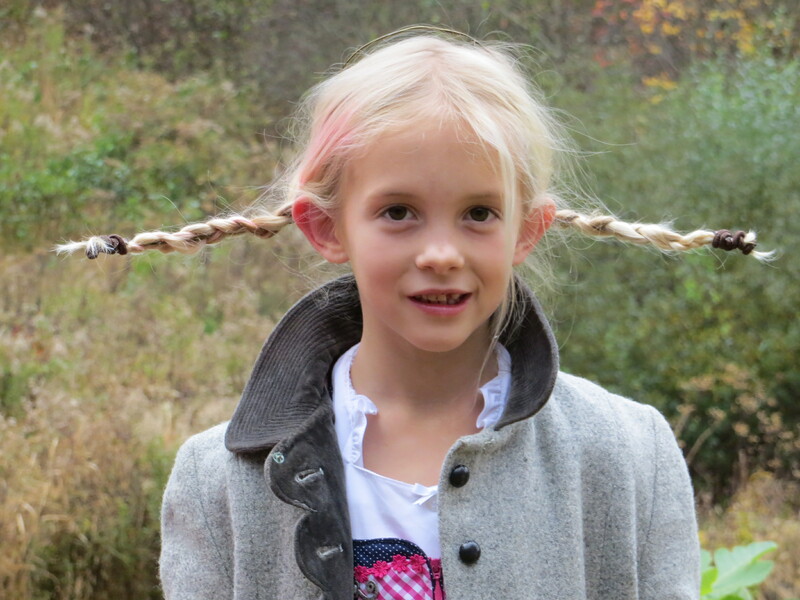 Evva, was of course, Pippi Longstocking – her current favorite book character. 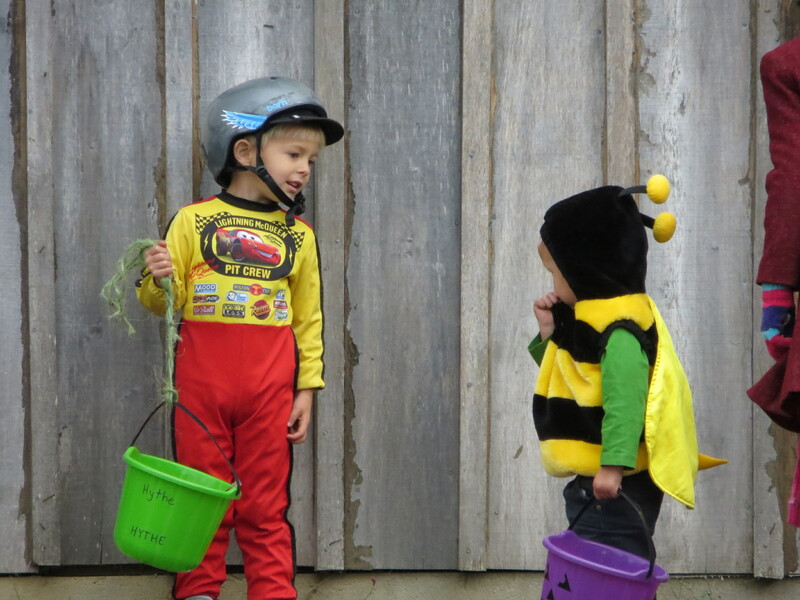 Hythe went as a race car driver, and Steven as a bee (costume courtesy of a friend and neighbor). 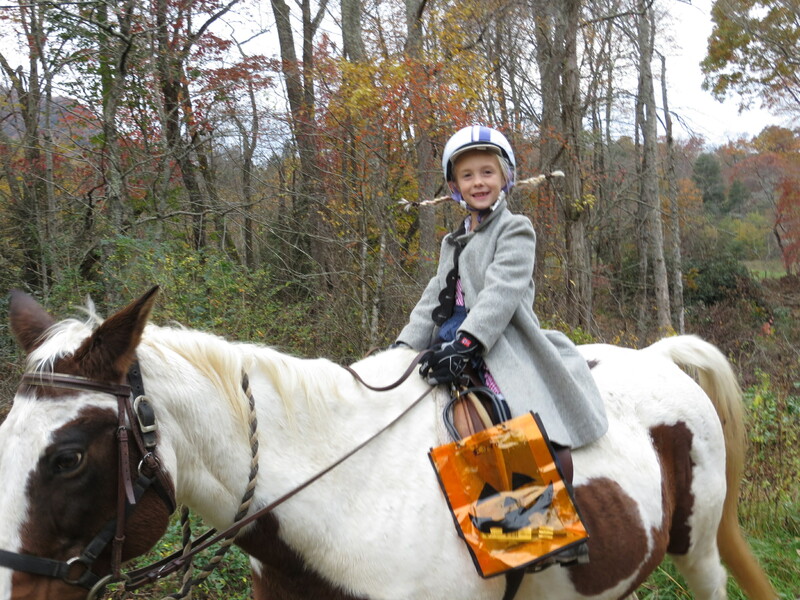 Evva asked a few weeks ago if they could go trick-or-treating on horseback. 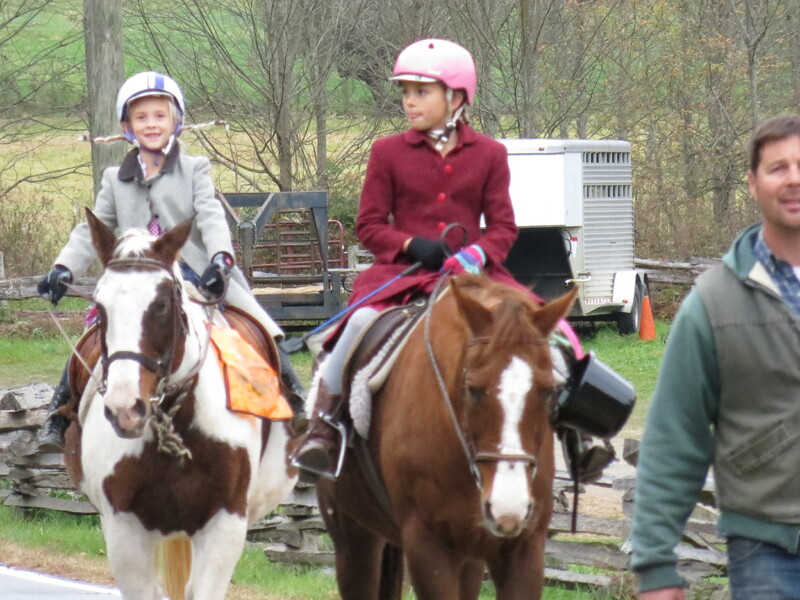 Anne and Hythe were enthusiastic and I got it arranged with William’s aunt to borrow a few of her horses. It was a fun little ride (William and I actually walked–good exercise!) and they made it to 6 houses and the farm store. 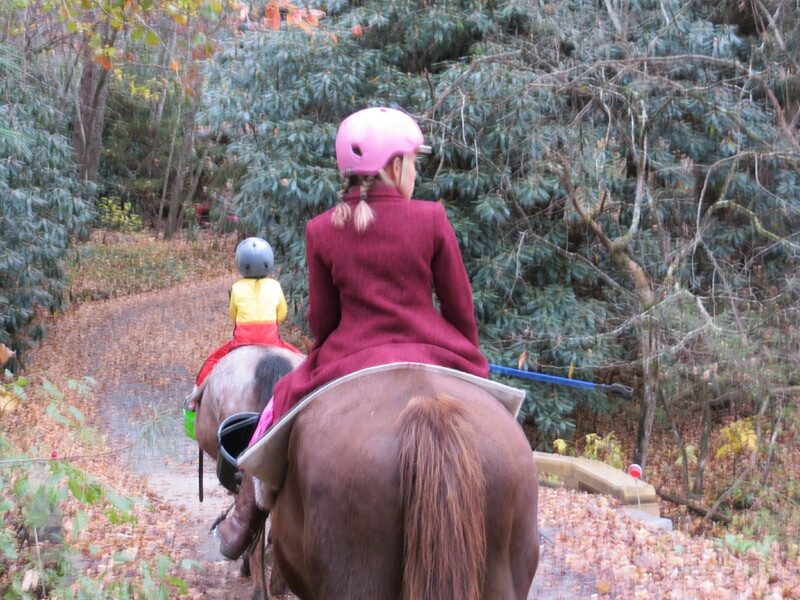 Since we left early enough to not be riding in the dark, we ate supper after putting the horse back at the barn, and had time to caravan with a group of friends to the rest of the neighbors who were just a little too far to ride horses to. 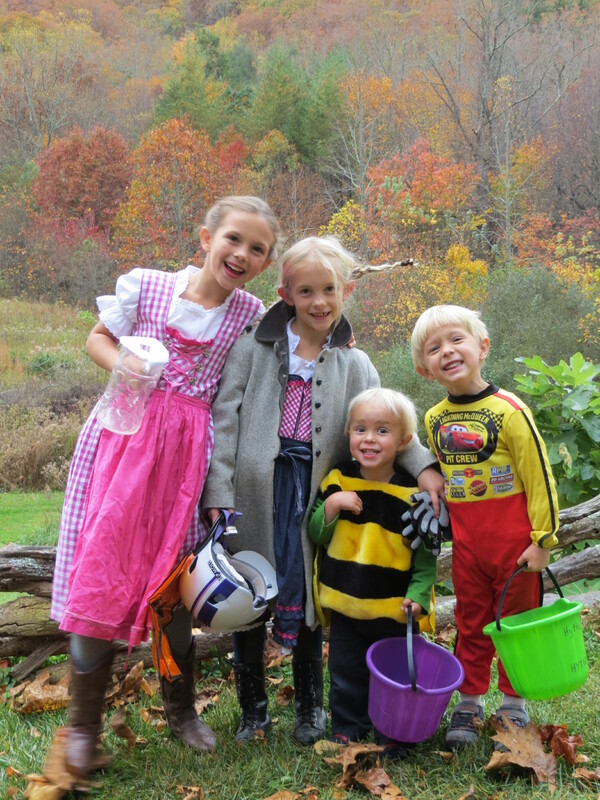 Lots of candy was got by all! 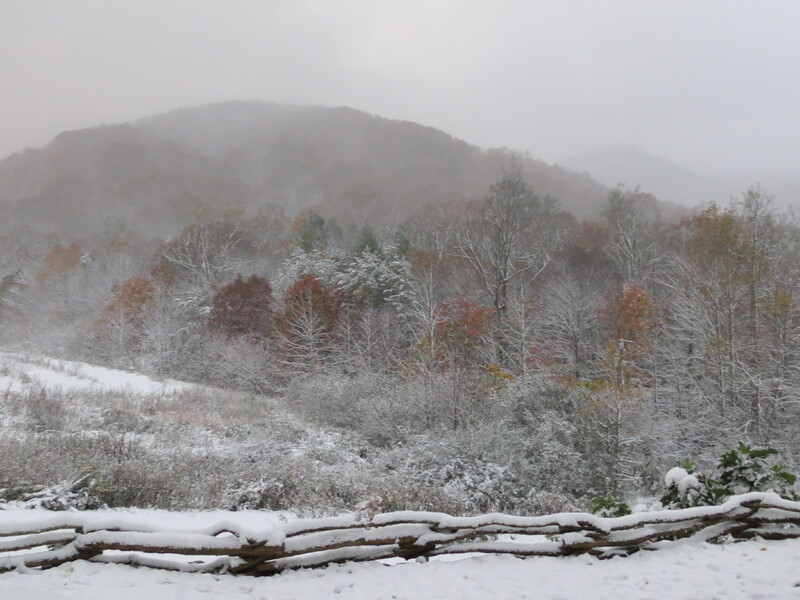 Nearly 3.5″ of snow – and it snowed all day, though the temps were above freezing so the snow on the ground melted as more floated down. 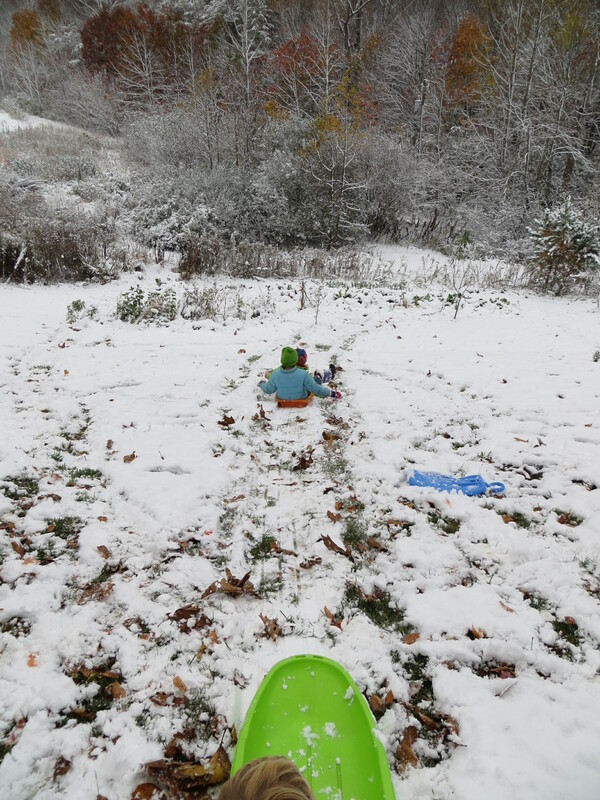 It was a beautiful overcast day and the children had lots of fun playing in the snow. 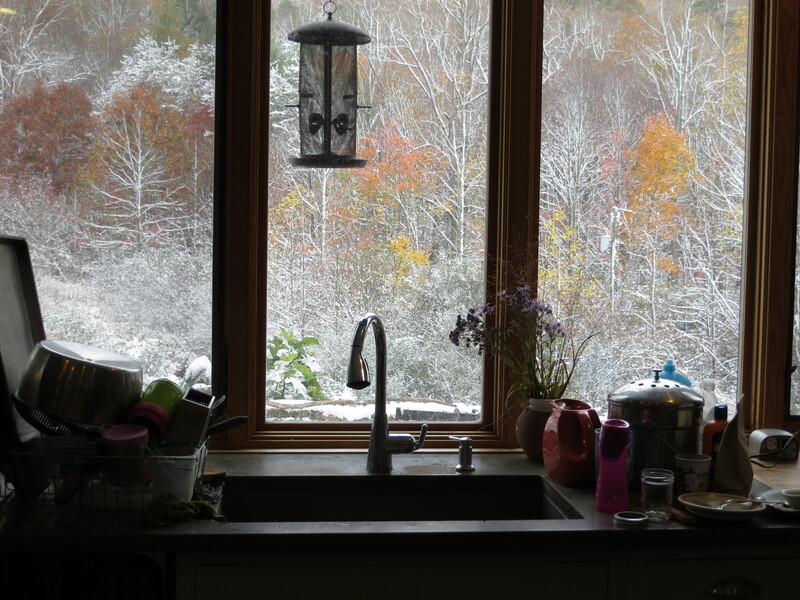 I stayed inside much of the day, cooking and cleaning – but, I did get out for a few walks to enjoy the fall/winter scenery. We had a Dia de los Muertos (Day of the Dead) party on Saturday night with lots of friends making it over despite the cold. Everyone brought a dish to honor a dead loved one. It was fun and special and made me remember how much I enjoy being with friends – and how it takes effort to make those gatherings with friends happen in our full busy lives. I want to do it more often. Your pictures warm my heart. Love the one of the children in the costumes. and on the horses. I read about the snow!!! How did you manage to have Evva’s braids to stick straight out? I can’t believe how much more snow you got just 20 miles away! wow!